INDUSTRY LEADING GROUND CLEARANCE AND TIGHT TURNING RADIUS INDUSTRY LEADING GROUND CLEARANCE AND TIGHT TURNING RADIUS: The RZR XP 4 1000 features an industry leading 13.5-inches of ground clearance giving you plenty of room to transition over obstacles in harsh terrain, and turning radius is critical when it comes to agility so we feature a quick 2 turn lock to lock steering ratio to maintain a tight turning radius. 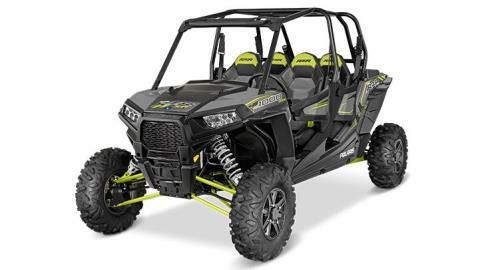 STANDARD ELECTRONIC POWER STEERING STANDARD ELECTRONIC POWER STEERING: Revised front suspension geometry and standard Electronic Power Steering (EPS) results in less steering effort and delivers the ultimate in control with reduced rider fatigue. CENTERED COCKPIT CENTERED COCKPIT: Every RZR is specifically engineered to provide the driver and passenger with the most exhilarating, comfortable ride on the market. From the patented design that places the engine behind the seat to the placement of the occupants towards the middle of the vehicle, RZR’s design provides a low center of gravity. PASSENGER FRIENDLY REAR CABIN AND SEATING: The rear Passenger Cabin boasts Numerous features to keep your passengers comfortable on every ride. Getting in is easy with factory installed quarter doors while deep foot wells with angled footrests and sculpted front seats for offer more legroom. Bolstered bucket seats can be adjusted with a tool for each passenger and Dry seat technology helps to resist moisture. Full-width handholds keep passengers secure over rough terrain and we've added standard convenience features including 2 cupholders, and a 12-volt outlet. COMFORTABLE AND CONVENIENT INTERIOR: The cockpit of the RZR XP 4 1000 offers the most comfort and convenience of any RZR. A High Performance steering wheel with 10" tilt adjustability and center storage box with cell-phone holder place everything within reach, including the glovebox. 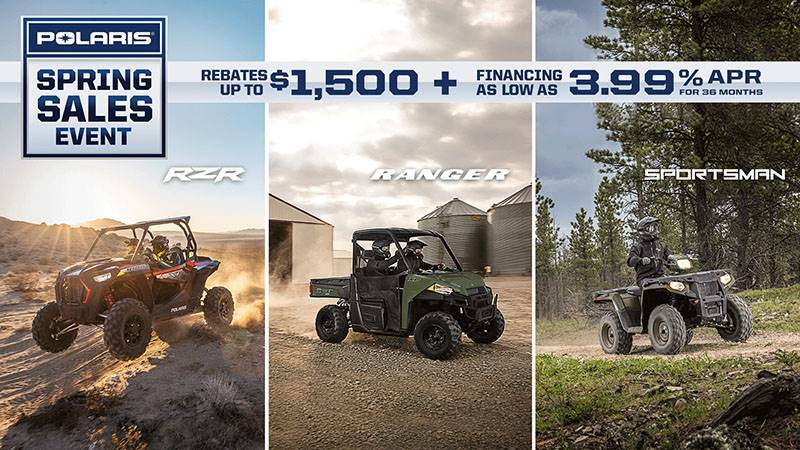 ONE-YEAR POLARIS ENGINEERED ACCESSORIES™: FACTORY WARRANTY Polaris Engineered Accessories™ come with a one-year factory warranty and do not jeopardize your vehicle warranty, making them the preferred choice for customizing your RZR®. 110 HP PROSTAR® 1000 H.O. ENGINE: For 2015 we wanted even more power and torque! So we tweaked the cams, installed bigger valve springs, raised the compression and optimized the fuel map to give you 110 horses of High Output power. 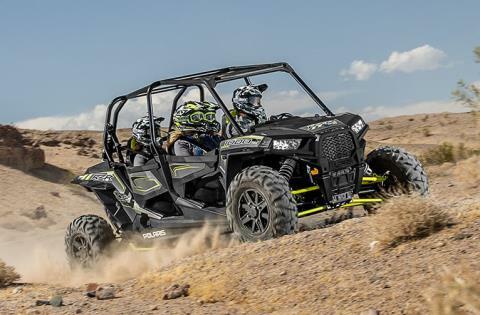 Dual overhead cams (DOHC) actuate four-oversized valves per cylinder, slamming a huge fuel charge into the combustion chambers of the engine for maximum performance. 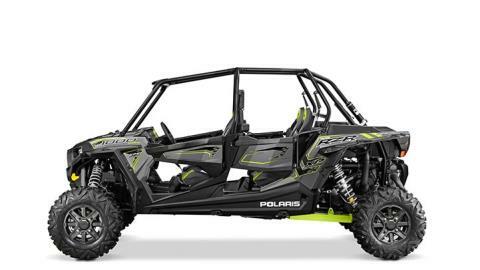 LONG TRAVEL DUAL A-ARM INDEPENDENT FRONT SUSPENSION: The dual A-arm front suspension on the RZR XP 1000 delivers a plush 16-inches of travel and features a dual coil-over spring design. 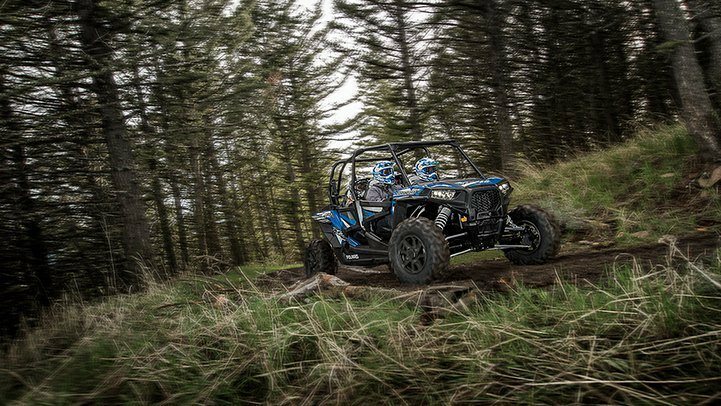 By using two individual springs and a crossover point versus a single dual rate spring, the RZR XP 1000 delivers a smooth, precise ride no matter the terrain.